Born in Omagh, Co. Tyrone in 1929, Brian Friel published two collections of short stories and many plays, including The Enemy Within (1962), Philadelphia Here I Come! (1964), Lovers (1967), Crystal and Fox (1968), The Freedom of the City (1973), Volunteers (1975), Living Quarters (1977), Aristocrats (1979), Faith Healer (1979), Fathers and Sons (1987), London Vertigo (1991), A Month in the Country (1992), Wonderful Tennessee (1993), Molly Sweeney (1995), Give Me Your Answer, Do! (1997), Afterplay (2002) and The Home Place (2005). In 1980, he co-founded the Field Day Theatre Company in Derry, which premiered his plays Translations (1980), The Communication Cord (1982) and Making History (1988), and his adaptation of Chekov’s Three Sisters (1981). Dancing at Lughnasa (1990) won several awards in London and the 1992 Tony Award for Best Play in New York; it was adapted for screen and filmed on location in Ireland in 1997. He also adapted several other Chekov works, including Uncle Vanya (1998), The Yalta Game (2001), and The Bear (2002). 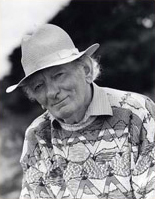 In addition to awards for his plays, he received a lifetime achievement award from the Irish Times in 1999. He was a member of the American Academy of Arts and Letters, the Royal Society of Literature and the Irish Academy of Letters. He lived in Co. Donegal. Aosdána is deeply saddened to learn of the death of Brian Friel. As a playwright and prose writer of genius his scope was enormously wide: he probed the great national, political and cultural dilemmas of our time unflinchingly and with intense passion but he always did so with tenderness for, and from the standpoint of, the embattled individual. His colleagues in Aosdána recognised his stature as a giant of Irish literature by electing him to be a Saoi in 2006, an honour limited to only seven artists in the country. Music was important to Brian personally; his art aspired to the condition of music. Now that he has died we can begin to see his work as one huge but intimate symphony. As an artist he is irreplaceable. Ní bheidh a leithéid arís ann.